Hey, even today, unless it’s a radical left-wing feminist we’re talking about, the social justice movement is against powerful and unconventional women, especially when they’re attractive. I suspect that’s part of what led to the attack on Amelie Wen Zhao and her as of yet unpublished fantasy novel, Blood Heir. I honestly hope she’ll be convinced to go back on her stupid decision to delay the book’s release and publish it unchanged in time, because it’s clear that was all manufactured controversy, just what’s destroyed the “young adult” market. But alas, chances are she’ll allow her career to be halted before it even began. Now isn’t that interesting. Depending how you view this, the Fredric Wertham-spawned censorship mob wound up all but costing women more than they gained in representation. And here’s one part I must take issue with: “conservative”? Given that Wertham was pretty much a liberal supporter himself, that’s why it’s ridiculous to assume this was all the fault of conservatives. Today, Wertham’s hardly ever spoken about in the past 6 years since his plagiarism was discovered, because with the rise of leftist social justice ideologies, it would clash with their obnoxious, entitled beliefs on what entertainment should be like. Frankly, I doubt it’ll go past superficial recognition, if Hollywood’s become as flooded with political correctness as it could be. For one thing, this is noticeably an Australian/European site that’s bringing this up (it’s also posted on Australian Broadcasting), not an American one. 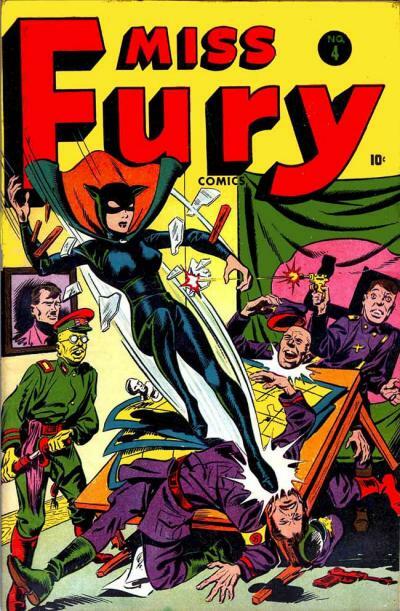 There had been some US sites that spoke about Black/Miss Fury in the past several months, because Billy Tucci illustrated a new take on the material for Dynamite, but since then, there’s been very little buzz about it as of this writing. On notoriety though, of course it could gain some of that, if radical feminists decide they’re against it. It wouldn’t bother any but the nastiest, most obsessive modern leftists who are constantly looking to manufacture controversy over nothing. Like, maybe Heather Antos, recalling she was a bad lot when she worked at Marvel, and isn’t likely to change much now that she’s working for Valiant. 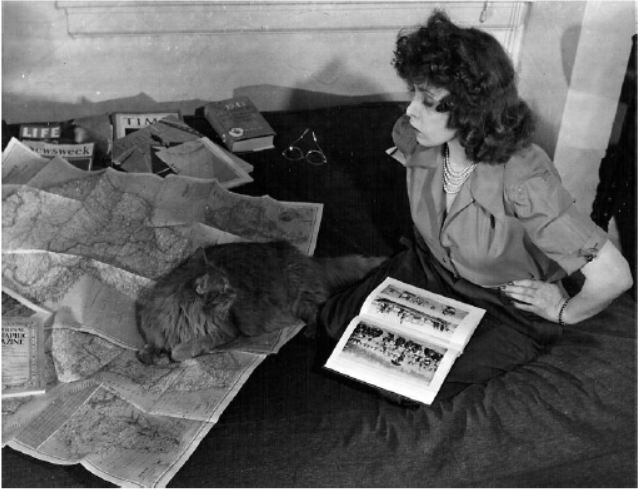 So far when I checked the news headlines, this was still the only serious mention of this important part of comics history, and that’s certainly telling if the comics press otherwise isn’t interested in following up on history items like these, proving that truly, the “representatives” today don’t care about tales of capable women, selectively or otherwise, because it all clashes with the twisted narratives they’ve come to embrace as they send the industry into a spiral of destruction. Also, where the article falters, let’s remember, is that it doesn’t get into whether today’s environment is sliding back to what harmed comics and other entertainment in the 1950s. That’s precisely why, even as it provides some interesting history, it still comes up short of the mark.